Chris Lehane, Head of Global Policy and Public Affairs for Airbnb (left) and Hugh Riley, CEO and Secretary General of the Caribbean Tourism Organization (CTO) signed a Memorandum of Understanding (MOU) on October 24, 2018 during Mr. Riley’s visit to Airbnb headquarters in San Francisco. By its consistent actions, Airbnb continues to stress that it is dedicated to the Caribbean. 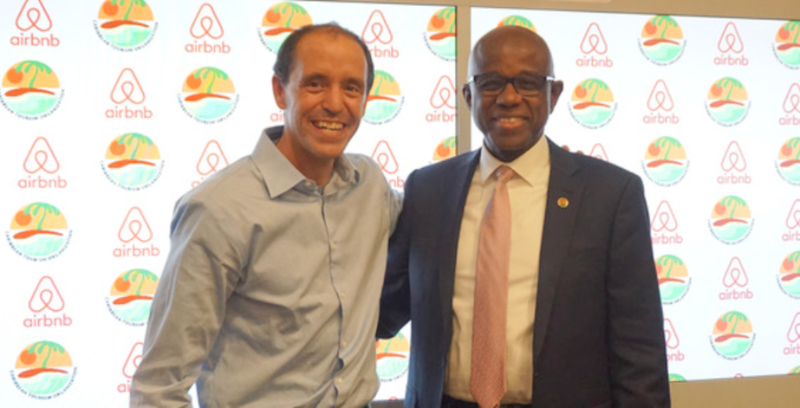 Airbnb hosted Hugh Riley, CEO and Secretary General of the Caribbean Tourism Organization (CTO), at its San Francisco headquarters recently and announced new commitments to promoting authentic and sustainable travel in the region, as well as continuing to grow economic opportunity. During Mr. Riley’s visit to Airbnb headquarters, the CTO and Airbnb signed a Memorandum of Understanding (MOU) pledging to cooperate on areas of mutual interest including: The promotion of Caribbean countries as desirable tourism destinations; the undertaking of joint research to understand the impact of the home-sharing on economic recovery following the 2017 hurricane season and other areas of mutual interest to both organizations. “We are proud of the fact that the Caribbean is in such high demand among diverse and very discerning global travelers. Essentially Airbnb is helping to make our region more competitive and to spread the benefits of the tourism industry across traditional and non-traditional segments of our communities,” said Hugh Riley, CEO and Secretary General of the CTO. "Airbnb is deeply committed to the Caribbean and we are proud to take this next step with the CTO to advance our mission of local, authentic, and sustainable travel in the region. The platform helps diversify the tourism sector, attract new travelers, and empower over 50,000 hosts across the region", said Chris Lehane, Head of Global Policy and Public Affairs for Airbnb. Hosts set their desired listing price on the platform and pay a 3 percent commission to Airbnb for its platform services, allowing them to pocket 97 percent of the nightly rate. 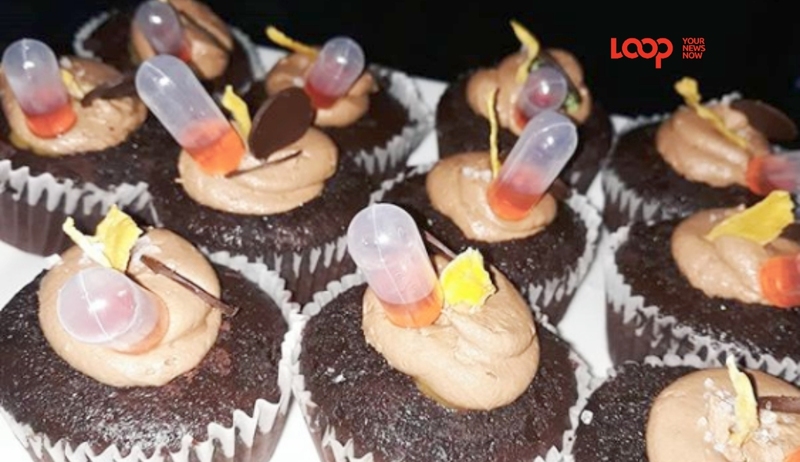 In the Caribbean, a typical host earned $3,700 USD in the last 12 months. The joint research undertaking with the CTO builds on Airbnb’s commitment to help strengthen communities around the world in tough times. The hyperactive 2017 hurricane season saw Harvey, Irma, and Maria severely impact the region, resulting in billions of dollars of damage. Airbnb saw a downturn in September 2017, but is excited to note an uptick in bookings for the upcoming high season and is working steadfast to spread the word that the Caribbean is open for business. In Puerto Rico alone the platform now has more listings than pre-Hurricane Maria level. Earlier this year, Airbnb and the Puerto Rico Tourism Company (PRTC) also agreed to launch a destination marketing campaign to highlight the island, in addition to cementing a lodging tax collection agreement. Puerto Rico collaborated with Airbnb on a series of targeted efforts, including the launch of Airbnb’s popular Experiences feature on the island to help drive tourism in the country as it rebuilds following Hurricane Maria. 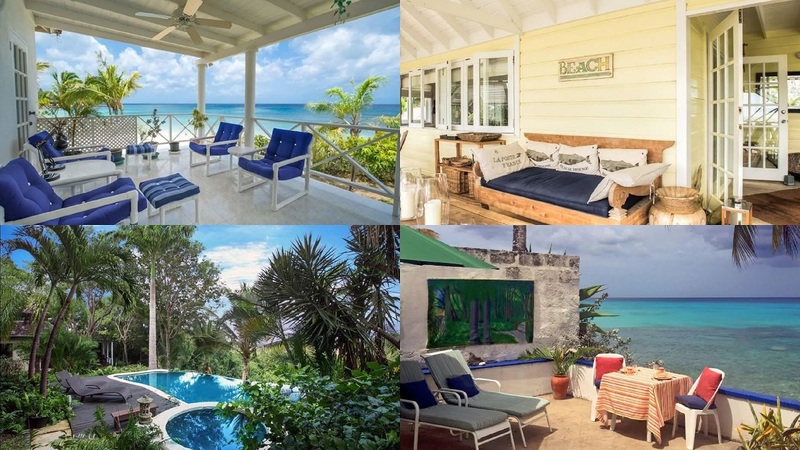 Nine great Airbnbs for your Barbados staycation!